My wife gave this little blue teapot for my birthday. We love pottery and this teapot was little but full of character. 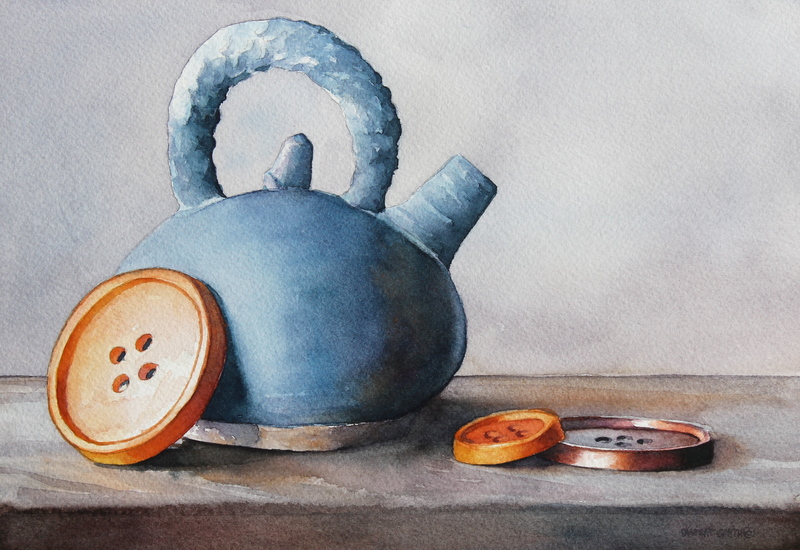 This still life watercolor was painted in the realist tradition. I have used buttons in previous watercolors. I enjoy painting them.